Am I for real, you say? 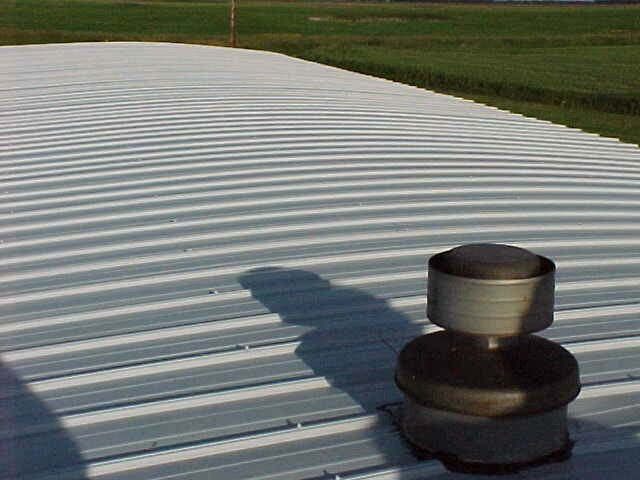 “Me, install a metal roof? You gotta be kidding!” Nope, I’m not kidding. If you’ve got an older manufactured home that has an old metal roof, it’s probably been sealed and resealed and then sealed a few more times. And now it’s time to be resealed again, where will it ever Stop! I’ve got news for you, it won’t stop. BEFORE: Years and years of re-sealing and maintenance have left the roofing on this mobile home in rough shape. AFTER: For less than $1,000 you can have a new low maintenance metal roof on your mobile home. Why not put an end to endless recoating with a new virtually maintenance-free metal roof? Materials can be purchased at your local lumberyard for less than $1000. The new roof can be installed in 1-2 days, depending upon your skill level. 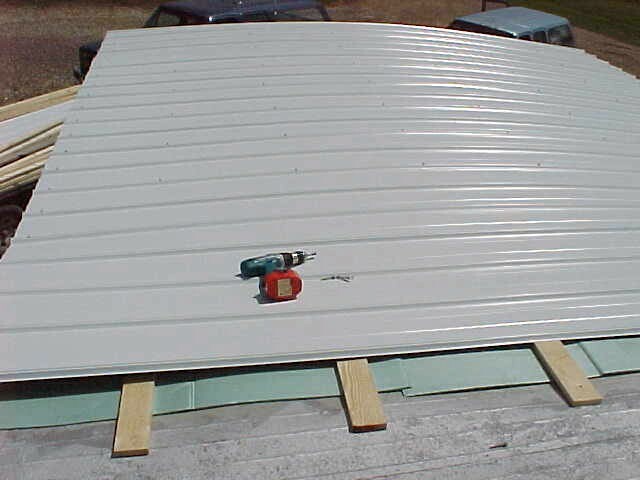 Basically, if you can run a drill, saw and read a tape measure, you can install your own metal roof. 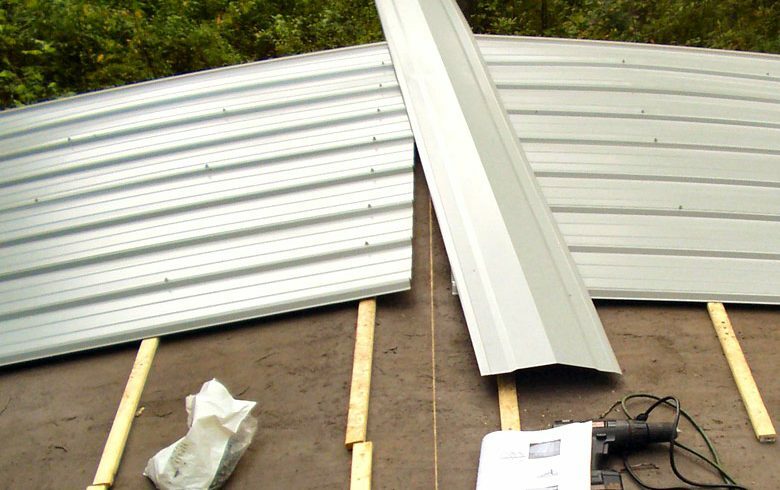 As long as you are somewhat handy, all you need is a saw, drill, and tape measure to install your own mobile home metal roof for a fraction of the cost. 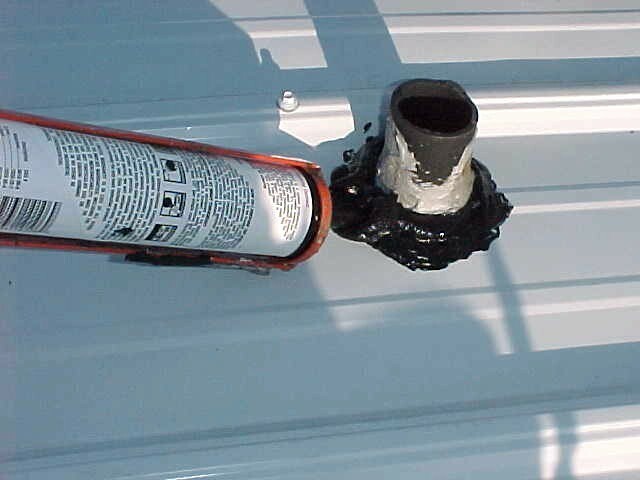 Fresh seal around the vents on your new mobile home roof. For complete details on installing your own metal roof, we have a booklet available to help you. To order, click here. Where can I find a step by step description of the above pictures? I hope that helps and thanks for visiting Mobile Home Repair! Do we need to get a building permit to do this? Hi Diane, Building permits are a highly localized issue. Some cities, communities, and states may require permits for this type of work, while others may not. You likely will not have to worry about getting a building permit for replacing your roofing material though if you live in a community they may require special notice or permission. It is best to check with your city or county building department before you begin. In addition, checking with your community manager or supervisor as well. This is an important and often overlooked issue. For example, in Washington State, such a repair performed on a manufactured or mobile home may not require a local jurisdiction building permit, but it DOES require inspection and certification by the Washington State Department of Labor and Industries which is the regulatory agency overseeing work on those types of homes. If the roof is replace and not inspected by them, it becomes illegal to sell the home to another buyer. It is also illegal for real estate agents to even list the home for sale in those cases. 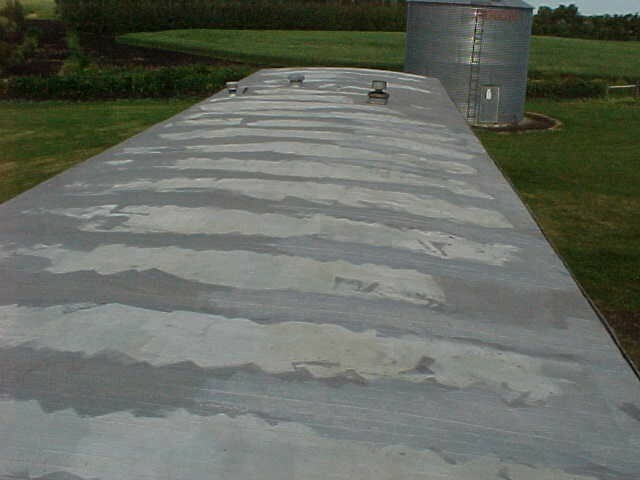 I’m disabled and although I understand the concept and work involved (had built metal sheds in the past), I am having problems finding a licensed roofer to do this for me! If anyone knows a licensed contractor (with references) that can do this in Atlantic County NJ, Please advise! I would like this done October 2017 if possible~ mid November at latest.